Bath-based property developer Rengen has secured a £30m deal that will complete one of the South West’s most creative regeneration schemes. 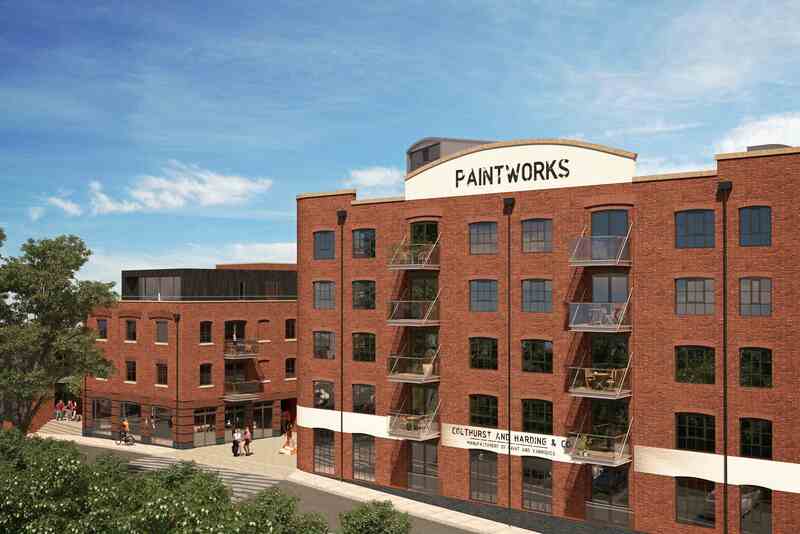 The firm, a subsidiary of the Iesis Group, has acquired the fourth and final phase of the Paintworks mixed-use scheme in Bristol from London-based niche developer Verve Properties. Plans for the development were approved in December 2016 and include 92 apartments alongside new office and commercial space. The former Endemol building on the site – which was used to film the TV production company’s Deal or No Deal show – and part of another building will be demolished to make way for new structures of between four and eight storeys. Once completed, the new buildings will provide around 19,000 sq ft of commercial space – expanding Paintworks’ existing business space, which has become one of Bristol’s top creative sector hubs and a magnet for design and media firms. The scheme’s café/bar and event space have also made it a vibrant cultural destination. Some 128 car parking spaces are also included in the scheme along with public open space and landscaping works. emol on the site before it relocated its production facilities to the Bottle Yard Studios in South Bristol. Rengen Developments CEO Iestyn Lewis said: “We are pleased to have secured this next phase of the Paintworks development having acquired this strategically important site. “The Paintworks has a far-reaching reputation as a business and community hub, a creative quarter and a fantastic place to work and live. As a company we are committed to delivering housing and business space which complements and enhances the unique identity of the area. Verve Properties director Ashley Nicholson said: “The idea for Paintworks was sketched onto a napkin in 2002 and it is really exciting to be completing the vision in line with that original concept. The first two phases of development at the Paintworks involved converting and reusing the former industrial and warehouse buildings at the western end of former Central Trading Estate. Rengen Developments was launched in 2007 by chief executive officer Iestyn Lewis, who has a background in development and consultancy and experience in a variety of sectors such as fund monitoring, risk management, residential, student, hotel, office, retail and infrastructure. It is best known in Bath for transforming the city’s former Labour Exchange building on James Street West into a mixed-use scheme with 78 student rooms over three new floors and 4,000 sq ft of commercial space on the ground floor.